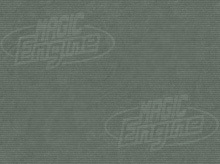 Below you will find the links to download the demo version of MagicEngine. The demo is limited in time, everything is fully fonctionnal, but after 5 minutes the game you are playing will be frozen. You can reset it to start again or you can load another game, but you can not play to a game more than 5 minutes. However there's a little trick. If you save a game, reloading it will reset the time limit, so if every 4-minute or so you save the game and reload it immediately, you will be able to play to the same game for more than 5 minutes. We have decided to not limit MagicEngine too much so that you can fully appreciate and test it, but don't forget to register if you like it. Thank you! NOTE: You will need version 5.5 (or higher) of Stuffit Expander to uncompress the old Mac archive. Copyright © 1997-2019 David & Cédric Michel. All rights reserved.